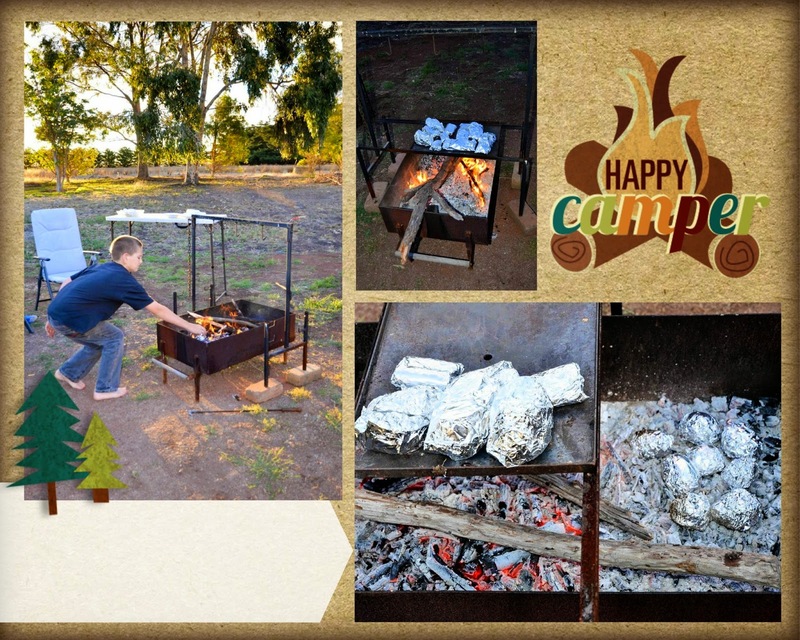 Happy Hamby Campers: Foil-ed the crowds?! It's a long weekend in Victoria. We opted to stay at home, thinking many places would be busy - plus we wanted to supervise our eBay auctions and be available for winners to claim their goods. We've had a bit of a clean-out and sold off some of our excess "famous" camping gear. OK, "famous" is definitely an exaggeration but we did get a huge number of people look at our listings - and some extra blog traffic, too! Our original tents, beds on legs, short self-inflating sleeping mat, camp washing machine and clothesline are all sold. We also found new homes for the caravan fridge and the cover I bought at the dump shop (which sold at a profit)! Hah - gotta be happy with that! We cranked up my fire pit last night and dined under the stars. There were was an unplanned foil-cooking theme. 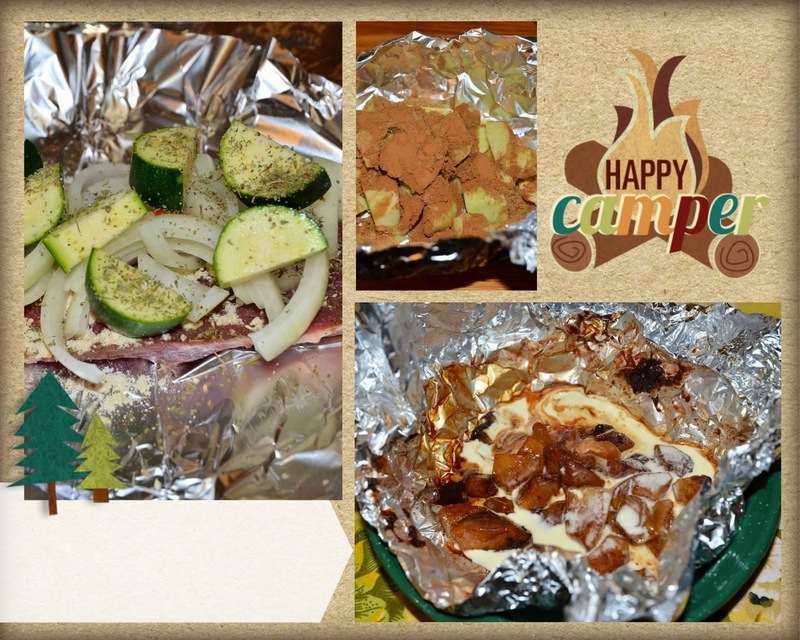 Potatoes, pumpkin and carrot - as well as steak and onion - were all cooked in foil parcels. 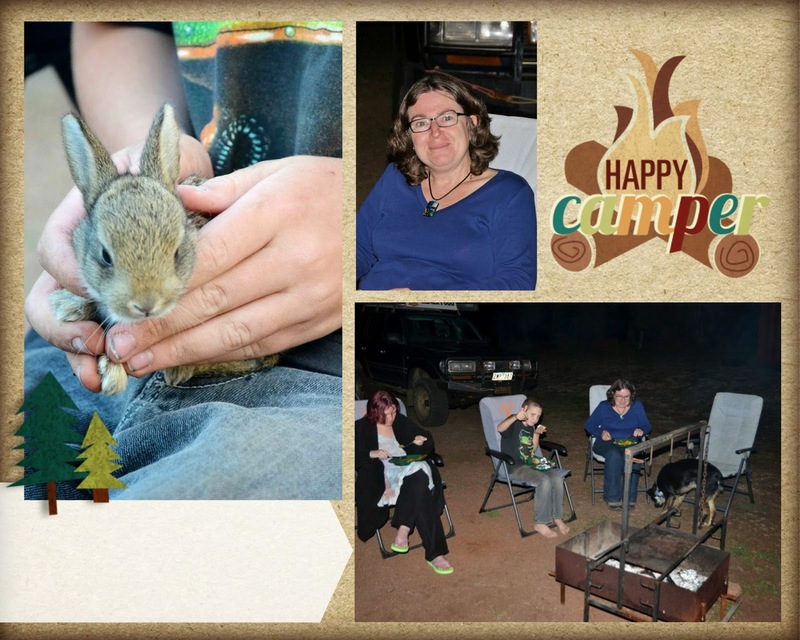 (The rabbit was a campsite visitor and didn't feature on the menu)! Vaughan had picked some home-grown apples during the afternoon. They were too small to core and stuff, so I chopped them up and mounded about a cup onto foil, with a tablespoon of brown sugar and a teaspoon of cinnamon, plus some dobs of butter. Once cooked we ate the contents with a drizzle of cream. Mmm! At the end of the night Nick, Vaughan, Bandit and I retired to the caravan for another camp-out. (Erin opted to sleep in her usual caravan)!